I've gotten away from reviews of stuff I saw lately - and I'm not sure anyone minds - but I wanted to step back in and brag a little about a couple of things I got to see over the past month. I saw Bill Cosby and Dave Chappelle. Not together, of course. But only a few weeks apart. Anyone that knows me, knows I've always loved stand-up comedy and comedy in general. When I was a little kid, my parents would take my brother and I to their friends house every Friday night, and we'd hang out with their kids. Usually that would always lead to the kids putting on a show for the adults. My segment was always a stand-up comedy routine and it was always put together from bits I'd stolen from other comics. There was a stand-up show on late Friday or Saturday nights when I was somewhere between 8-12. I'd usually stay up and watch it, sitting right in front of the TV in the basement so I could keep the volume low. I'd always have a tape in and the VCR ready in case someone came on that I recognized. There are probably a few Louie Anderson specials still in the basement of my parent's house. I love seeing comedians live and seeing both of those guys was incredible. 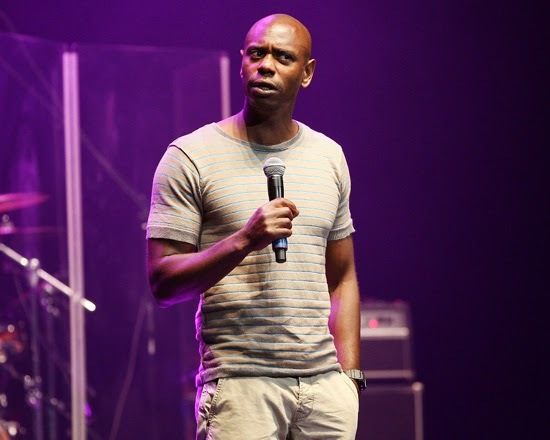 There's a chance that Chappelle wasn't as good as he once was, but that's debatable. From 2003 to 2006, the man was at the top of his game. That's when CHAPPELLE'S SHOW was on the air and he was at the height of his power. He got sick of fame and walked away from everything and he's been doing sporadic shows ever since. My friend Brandon compared it to seeing Richard Pryor in his prime, and that may be so, but I'm not sure. We have the benefit of hindsight with these things and that's always a benefit. I'm curious if anyone that was in the theater for the Richard Pryor set that became LIVE AT THE SUNSET STRIP or seated in the audience when Eddie Murphy was going to tape RAW knew what they were going to be a part of. I don't feel like they did. If you had told me in 2005 that sitting in the audience for a Dane Cook set would be legendary, I probably would have believed you. In 2013, looking back, I don't think anything Dane Cook has ever done could be considered legendary. Not even close. I didn't know that going in though and the first time I heard RETALIATION, I thought it was pretty great. I'm kind of embarrassed that I enjoyed it now. Expectations were high and he met every single one of them. It was amazing to see his laid back, slacker style of comedy in person. I'm always in awe when someone can command attention and control an enormous crowd with something as simple as a look. Bill Cosby was able to do the same thing - and he did it sitting in a chair the entire time! Chappelle riffed a bit from time to time, but he had a set, and bits he'd been working out and you could tell he was working to get back to the level he was once at. He'd still blow just about every other comedian working out of the water, but he was still working. Cosby's set was more story-driven. He'd told these stories before, but he had the rhythm and beats clearly mapped out in his head and executed them perfectly. They're both masterful performers and I'm incredibly lucky that I got to see both so close together. Seeing Cosby was fantastic, but seeing Chappelle was nothing short of inspiring.